Find talent in your local pools, and don’t try to do everything yourself. Shelly Govila is one of those super-energetic, passionate TEDsters you’d just love to have on your team. Her team at TEDxWanChai loves her energy as well. She’s very involved in the region, having traveled to TEDxSingapore, TEDxShanghai, and TEDxWeekend (for Organizers). You’ll love getting to know Shelly and will discover new ideas you will want to put to use on your show. Originally from India, she moved to Hong Kong and first was involved in a University TEDx. In 2014 she ran marketing for Wanchai. 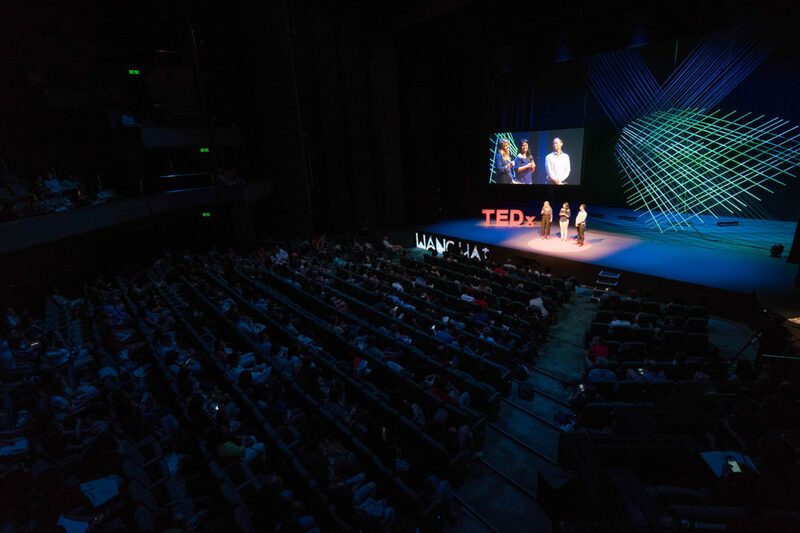 There’s a lot of TED in her adopted town, three TEDx events in Hong Kong, Wanchai, Hong Kong and Mongkok. She says they have a divide and conquer system, not all the team works on all the events. We talked at length about their Open Mike night (video below) and how tricky it is to pull speakers from the x-patriate community. The ambiance and vibrant nightlife of a music store/bar, with 300 people as the Jury helps them find some exciting ideas and presenters. Everyone gets a rating card and picks 3 to 5 speakers. She started by doing a TEDx University event, then volunteered to run Marketing at TEDxWanchai in 2014. She’s not stopped since! She’s attended TEDxShanghai, TEDXSingapore (shout out to Dave Lim), TEDxHongKong and 15 school and university events. The diversity of cultures in Hong Kong means there’s going to be an East Meets West vibe from the speakers. They also make sure there are very high production values. Shelly says they are equated with the Cirque de Soleil of Asia. Marketing. She loves the social media work, building out the website and of course, making all the partnerships work. Keeping team spirit up. Managing to have the team inspired all the time. Get your team together for social events to keep team spirits high. No work, no agenda, just fun. The theme: Small is the new Big. Find talent in your local pools. Don’t try to do everything yourself. Would love to have the co-chairs of the soon-to-launch TEDxTinHauWomen chapter on Hacking the Red Circle. Can we chat ahead of our inaugural 3 November event?